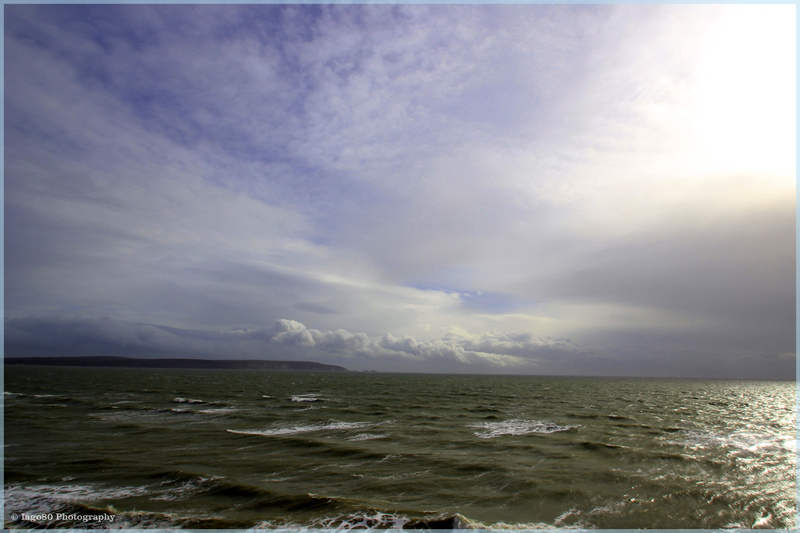 The Solent is the strait of water that separates the Isle of Wight from the south coast of England. The notoriously deep and treacherous waters were once likely to have been a river, deepened and exposed by the thawing of the last great Ice Age. 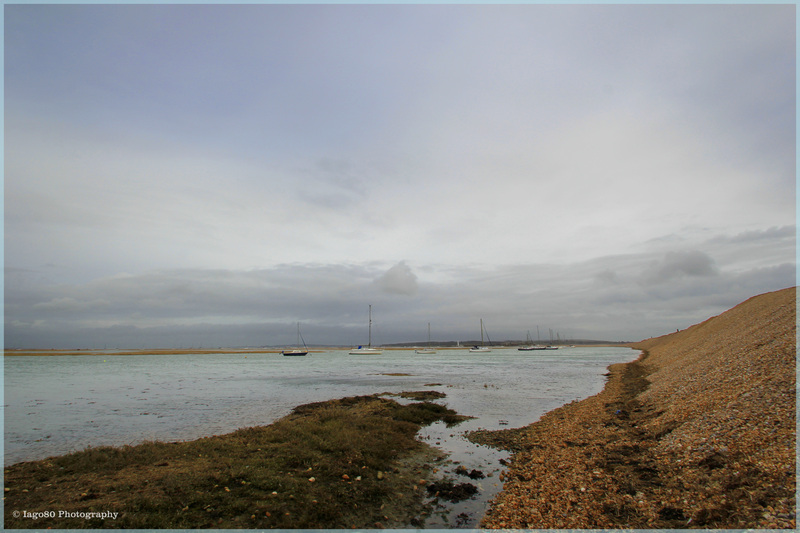 At the western edge of the Solent, Hurst Spit shields an almost entirely enclosed patch of sea-water, called Keyhaven Lake, from the Atlantic tide and winds (it was unbelievably windy and cold when we were there). The spit is famous for Henry VIII’s ‘Hurst Castle’ and Hurst Lighthouse. 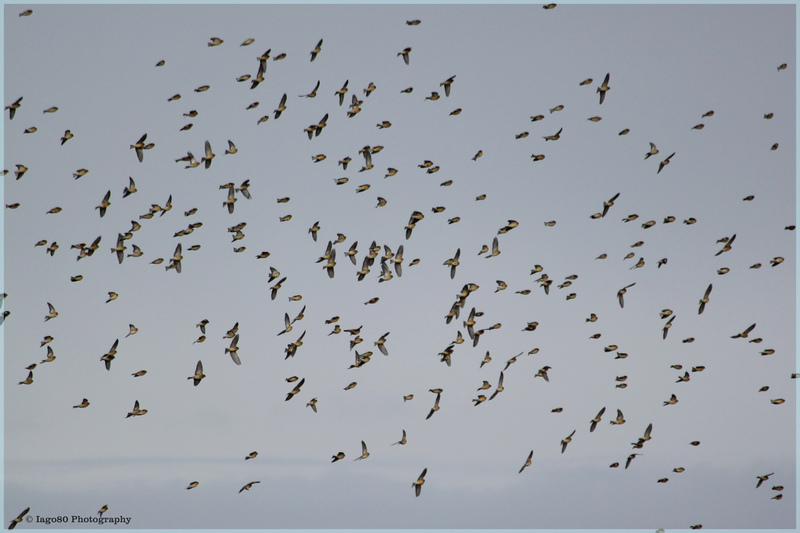 The almost gale force freezing wind made it too difficult to walk to the castle, but we did get a good view of the wildlife sheltering on the eastern side of the spit. 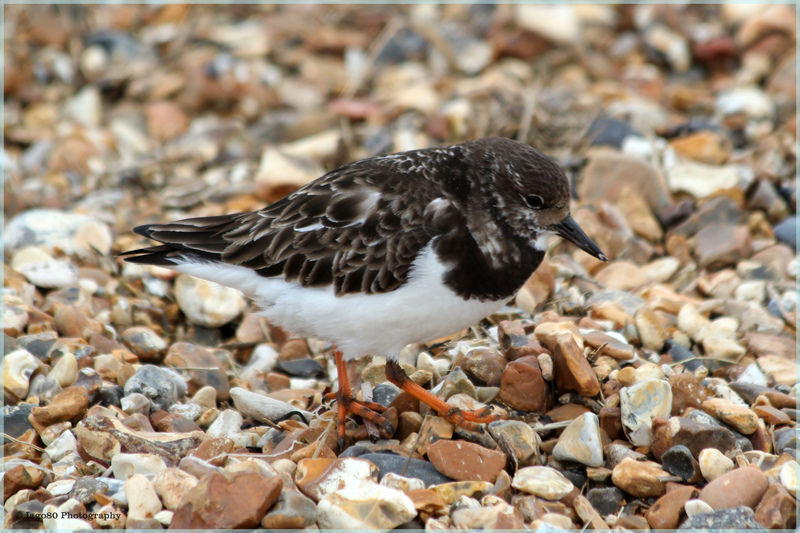 Small and tame Turnstone (Arenaria interpres) pecked and chattered up and down the spit pebbles. 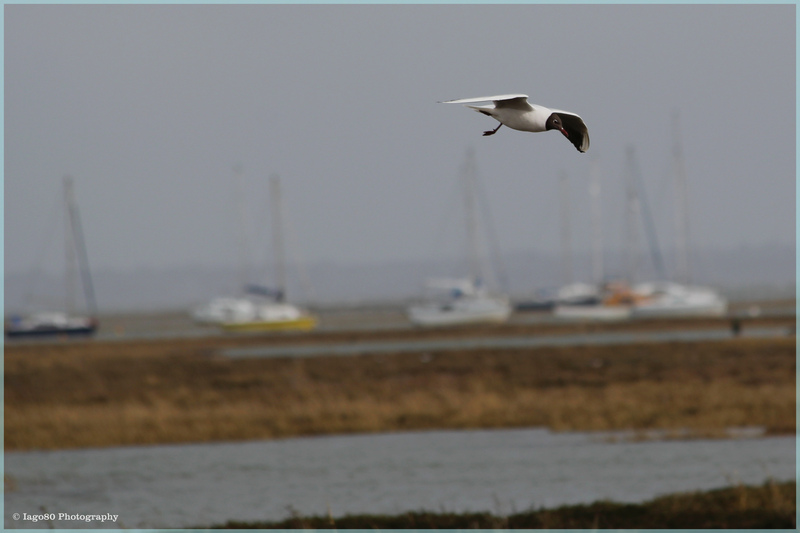 … whilst below them Brent (or Brant) goose (Branta bernicla) swam and fed through the weed. This was the first time I had seen this species of goose. 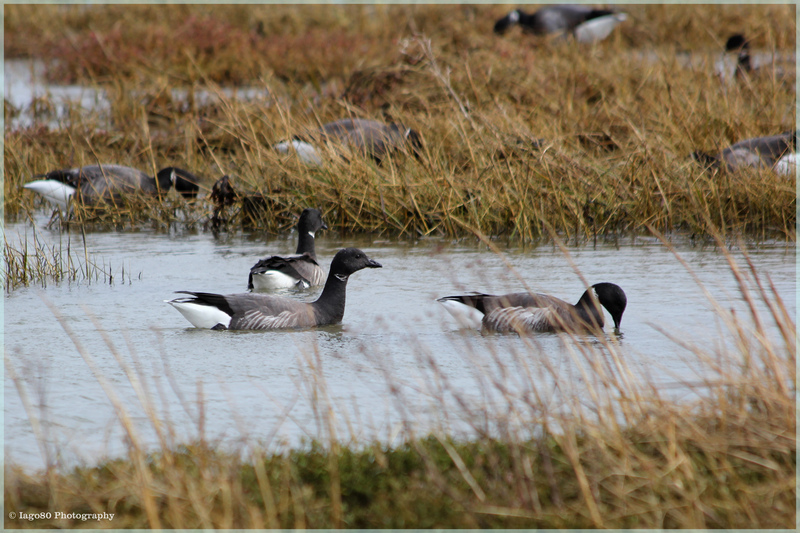 In the winter, it is believed that nearly half the global population of Brent geese will migrate to the UK. 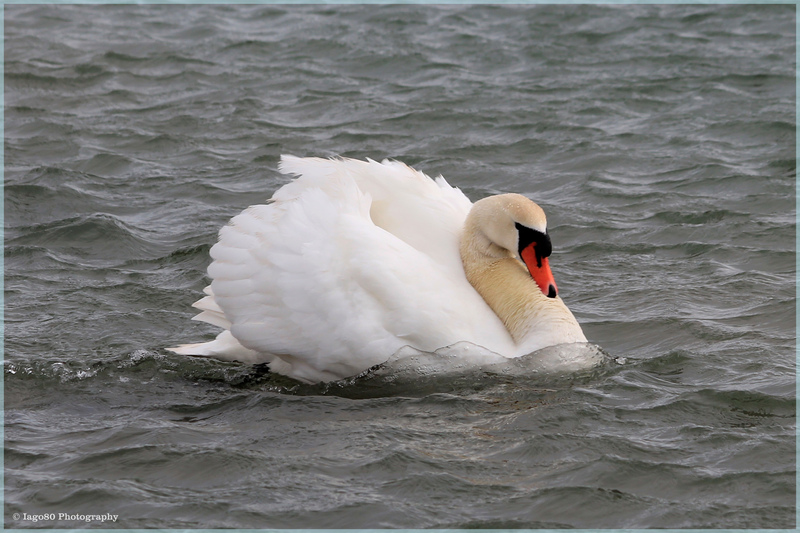 Much larger Mute Swans (Cygnus Olor) also patrol the area, and I also managed to photograph a flock of a around 200-250 Linnet (Carduelis cannabina), so called because of their fondness for flax from which linen is made. 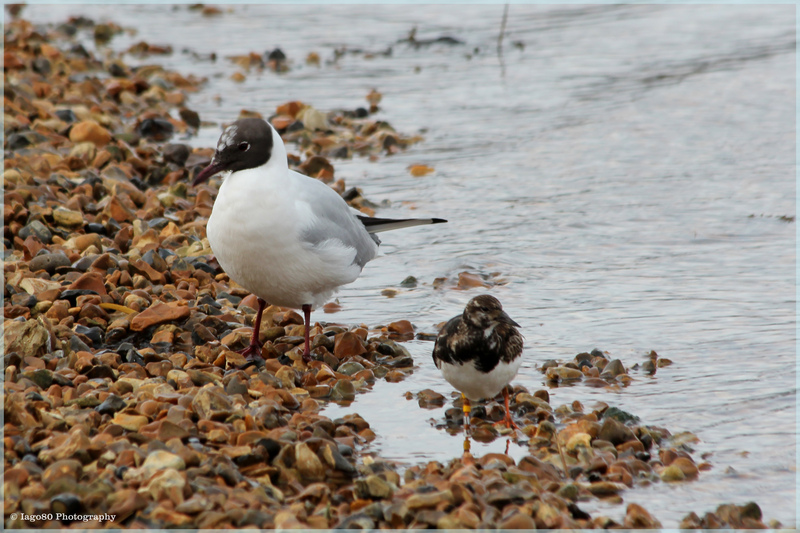 This entry was posted in Bird watching, photography, weather, wildlife and tagged Black-headed gull, Brant Goose, Brent Goose, Hurst castle, Keyhaven, Linnet, Mute Swan, Solent, Turnstone, wildlife on March 23, 2013 by iago80.